Each year, a portion of Budget Saver Red, White and Berry Blast Pops sold across the country are donated to Operation Homefront. The Ziegenfelder Company is making that same promise this year and hopes you’ll support this cause each time you reach for a bag of our frozen treats. In 2017, Operation Homefront accepted a check for $26,000 from The Ziegenfelder Company. The money went to provide emergency assistance and other financial help to families of service members and wounded warriors. 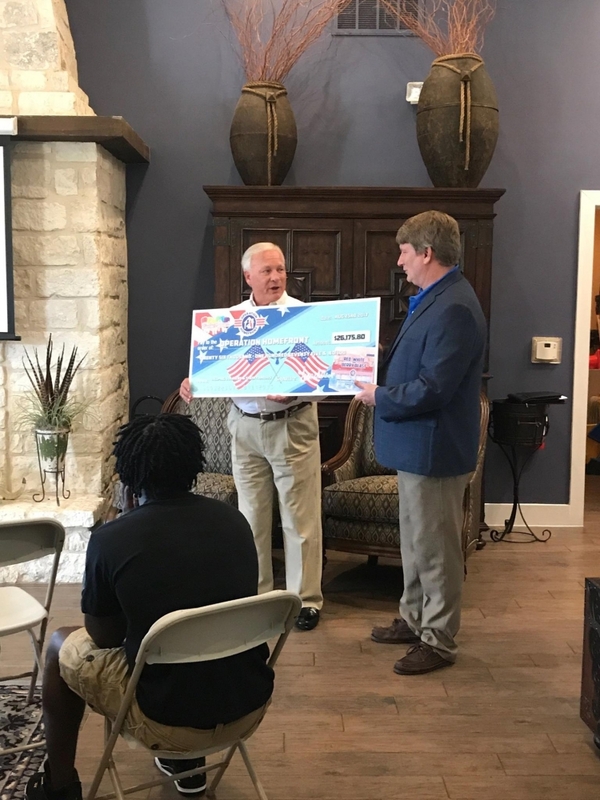 More than $150,000 has been donated to Operation Homefront by The Ziegenfelder Company in the seven years since the partnership started. The Ziegenfelder Company chose to support Operation Homefront because the organization has been recognized for superior performance by leading independent charity watchdog groups. Reports showed more than 90 percent of Operation Homefront’s expenditures go directly to programs that provide support to military families. With 16 pops in every bag that line up cherry, lemon and blue raspberry flavors, you can enjoy these treats knowing you are doing good for our heroes in uniform and their families. To find the nearest retailer with Budget Saver Red, White and Berry Blast Pops, enter your zip code into our store locator.